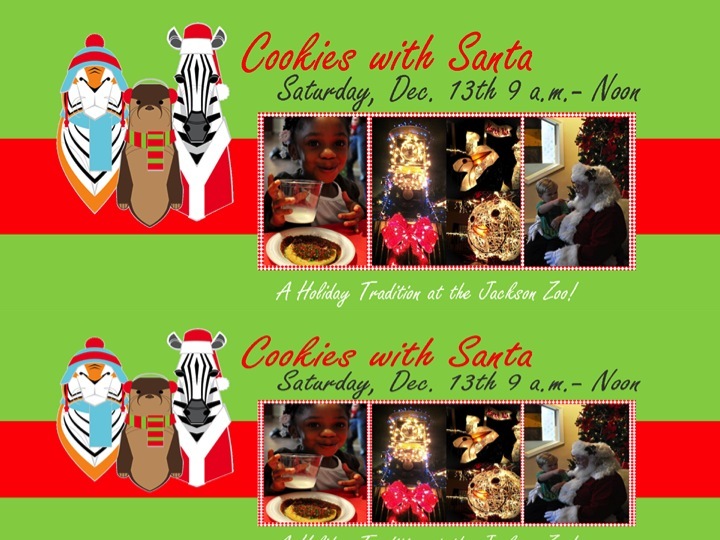 Cookies with Santa will take place this Saturday, from 9:00 am to 12:00 pm at at the Jackson Zoo. Children will get to decorate sugar cookies with pastry elves from Just Kaking Custom Cakes and Treats, participate in a special holiday story time and enjoy fun zoo holiday crafts. Story time will be read by ventriloquist John Edward Lowe and his dog Homer. Sounds of holiday music will fill the air with choir performances on the amphitheater stage from 11:00 am to 1:00 pm. General Admission is $5.00 for adults and children. Member admission is free. For more information call: 601-352-2500.